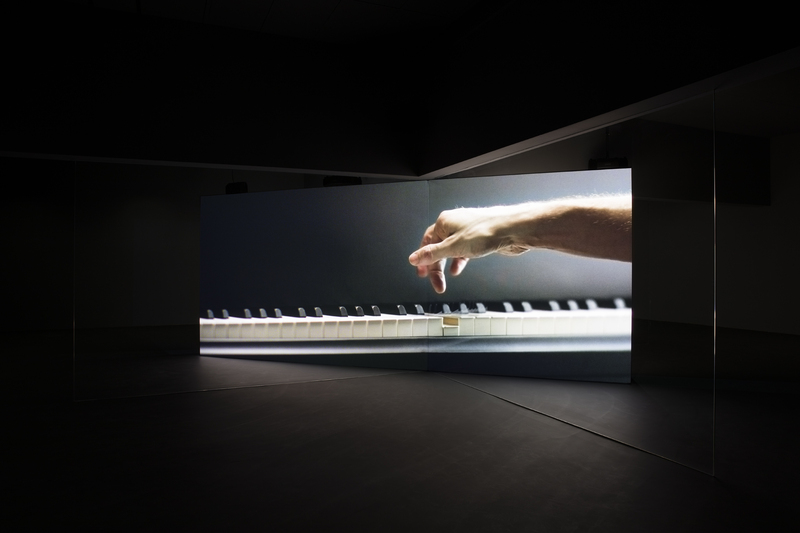 When music manifests in Anri Sala’s art, it’s never just music. For an artist who was born in the mid-’70s, grew up under Communism in Albania, and typically uses sound without words because he’s wary of how language can be misused, music always has cultural connotations and is most pertinent in flux. 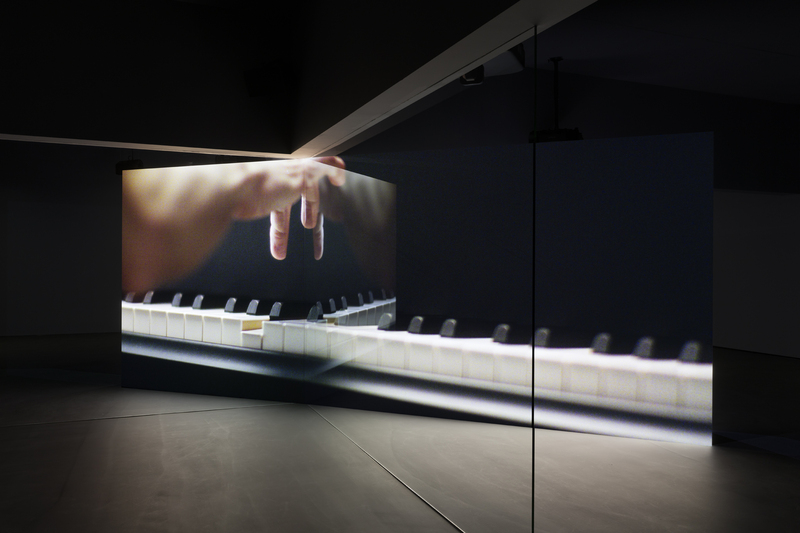 See, for example, Ravel Ravel UnRavel (2013), Sala’s multiscreen video work for the German Pavilion at the 2013 Venice Biennale, in which two separate pianists interpret Maurice Ravel’s 1930 Concerto in D for the Left Hand while a DJ mixes and morphs both versions together, situating us emphatically in the present. Amid the swirl of associations in this project, it’s notable that Ravel himself was fiercely anti-nationalist; that, at this particular biennale, Sala – who has lived in both Paris and Berlin – was in the German Pavilion representing France while four German artists showed in the French Pavilion; and, finally, that the concerto was composed for one hand because the pianist, Paul Wittgenstein, brother of the language-suspicious Ludwig, had lost his right arm in the Great War. The question of whether the European project was about to unravel and potentially lead to a future war, or would manage to ravel more tightly together, as per the cross-pavilion amity on display here, was urgent then and is more urgent now. And it’s addressed anew by what might be considered a cousin – or sombre successor – to Ravel …, Sala’s new work for Esther Schipper’s new gallery space, Take Over (2017). Once again there are two pianos, plus electronics. A freestanding wall divides the space, and on each side is projected a piano keyboard – occasionally an establishing shot reveals the wood-floored room where the filming took place. The music played on each piano – The Marseillaise, written in 1792, and The Internationale (1888) – is inextricable from the political past. The former, before becoming the French national anthem, was initially connected to the French Revolution and subsequently spread to other countries along with revolutionary fervour. The lyrics of the Internationale, written in 1871, were originally sung to the theme of the Marseillaise, before the music was composed in 1888. So here, as the compositions interweave over the eight-minute span of the videos’ projection, we have internationalism and nationalism creating a variety of levels of dissonance. That this is not merely an exegesis on the past is made clear – as it was, four years ago, via the DJ – by Sala’s decision to have the music played on a Disklavier, a computer-programmed piano, as well as by human hand. (Sometimes the fingers of the pianist, Clemens Hund-Göschel, hover over a key, but the computer pushes it down.) There is a lot of implicit violence. On occasion the ‘music’ reduces to a percussive march, like countless feet. At certain points the human performer smashes a fist or even an arm down on the ivories, creating thick clusters. Every now and then, conversely, the familiar melodies receive rococo extrapolations and the music feels elevated, hopeful. Then a fist comes down again; then we loop around. Adding to the disorientation is Sala’s unique exhibition design. At diagonals to the screen, upon which the projection has been designed in wizardly fashion so you can go right up to the screen and not cast a shadow, are glass panels. At certain points these are near-invisible – viewers, apparently, have been disregarding wall-text warnings and walking right into them – while at others they pick up ghostly reflections of the screen. To walk around the space is to keep shifting between representations, mirages even. Take Over, taken in this light, is not a polemic: it’s an experience of a hallucinatory, untrustworthy moment; angst counterbalanced by a filter of elegance; a kinaesthetic tussle; and a work that’s left – appropriately – unresolved. On some level it might even scan as an argument for open-endedness, for difficult and challenging culture built in the present, rather than the certainties of, say, nostalgia. All of which, of course, speaks to ascendant nationalism, but artfully. Before one arrives at Take Over, there’s an overture. 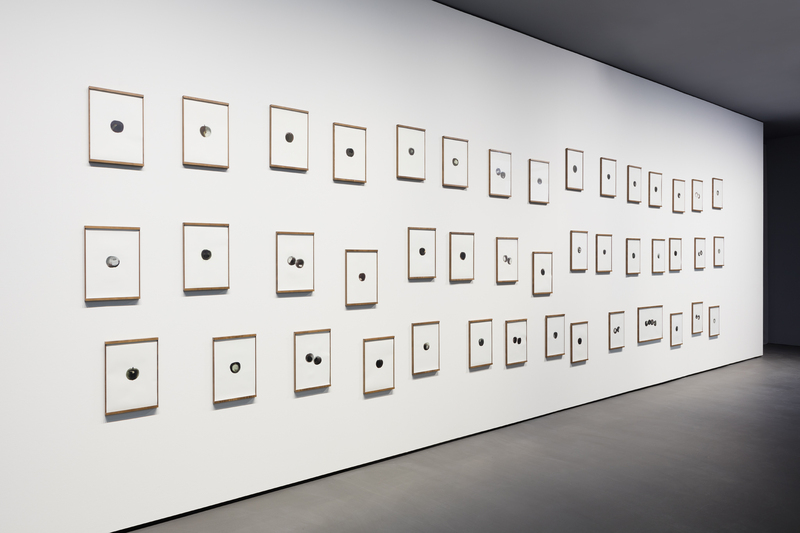 On the wall outside the darkened chamber in which Sala has installed the work, he’s placed Them Apples, forty-four greyscale ink drawings of, indeed, apples. These emerged from a three-day workshop with refugees in the Berlin district of Moabit, at the end of which each refugee selected the drawing he or she liked best; it seems the bites from the apples are their work too. Beyond the associations with knowledge, both of these processes – choosing and putting one’s own unique imprint on the fruit – are concerned with individuation: ‘refugee’ is a generalisation that clouds uniqueness and, potentially, blocks empathy. The title, meanwhile, feels like a contraction of ‘how do you like them apples’, an American idiom in which ‘them apples’ is a shorthand for a given situation. As with Take Over, that’s a question, not an answer: even down to who is being asked, a refugee or a citizen of Germany, where the decision to welcome refugees or not has become a political hot potato. One is tempted to say that the typical and supposedly liberal art viewer, considering this show, will – beyond admiring Sala’s inventiveness and restraint – only have their positions confirmed: that, yes, it’s a frightening moment in geopolitics and could go either way, that refugees should be welcomed and treated as individuals. We all know this, supposedly. Yet whenever, as lately, I hear someone I’d previously thought right-minded (as opposed to right-wing) espouse an illiberal position; or when I think back on encounters I’ve had, at gallery dinners, with collectors – where, after a few drinks the talk turns political, the mask comes off, the milk sours – I’m not so sure. Those experiences tell me we still need carefully suspended, sophisticated articulations of the situation that carry a viewer through the questions. Part of me is keen to see what tone, in a few years’ time, a future instalment of Sala’s piano works would adopt. Another part of me wants to hide my eyes. Martin Herbert is a writer based in Berlin.